Declining enthusiasm at the workplace is a common theme throughout offices at this time of year. One solution to reinvigorate weary souls in the last weeks of summer and early weeks of autumn is to book a corporate function venue. And there’s no better venue to lift sagging spirits than the jewel of Docklands thriving hospitality scene, Harbour Kitchen. The setting of our function venue alone is tonic for a bad mood. Right at the water’s edge, with the masts of yachts in the foreground and the Melbourne skyline behind, Harbour Kitchen occupies some of the most sought after property in Melbourne. If the sun sparkling off Victoria Harbour and the water lapping at the dock isn’t enough (it always is) to perk up even the most morose staff, then the food, drink and attentive service at Melbourne’s premier function venue certainly will be. 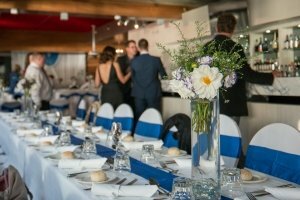 Hosting corporate events is one of our specialties and the entire Harbour Kitchen team, from the chef and assistants to our dedicated function manager, works in harmony to deliver food, drink and entertainment to match the idyllic setting. A happy workforce is a productive workforce and nothing ensures a happy team like a great day or evening spent at a leading corporate function venue. If you want to cure the back to work blues and get the best out of your colleagues as the year goes on, then give the corporate event experts at Harbour Kitchen a call today.